This is one of the most interesting places we stopped off at on our travels. We headed here after our trip to Volo Dell’Angelo where we met Azeem, a travel writer from London and previously a city lawyer. 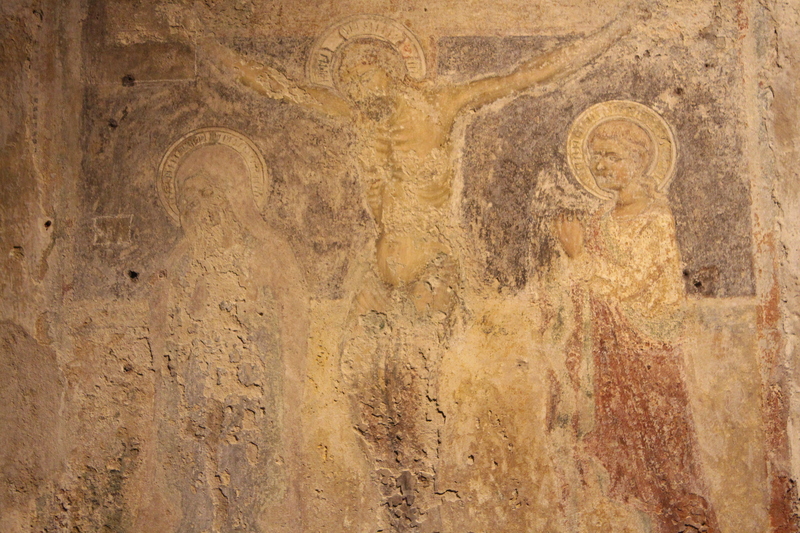 We had lunch with him in Castelmezzano and told him all about our plans to visit Craco. He actually knew the guide there, William, and made a call to him to arrange a tour for us. He also told us about the city that must not be named which we later passed on our travels! 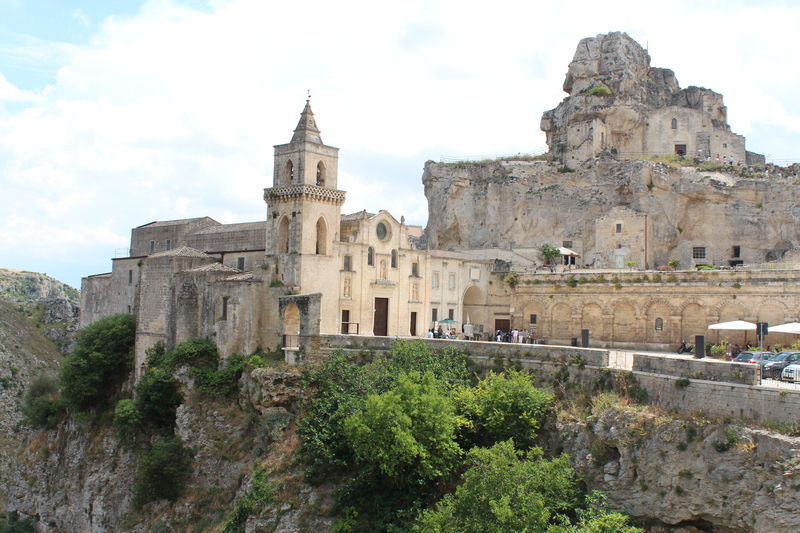 We met our guide, William, who took us on a private tour of the abandoned town which lies about an hour west of Matera. Once beautiful with a stunning palace at its apex, it now lies empty, crumbling and divides those who still own properties here and government bodies. You must book on to a tour to visit this site and hard hats are worn at all times and at just £15 per person, this tour is great value. You learn all about the history of the town, its links to the mafia, its brilliant water system and how water came to be its downfall. 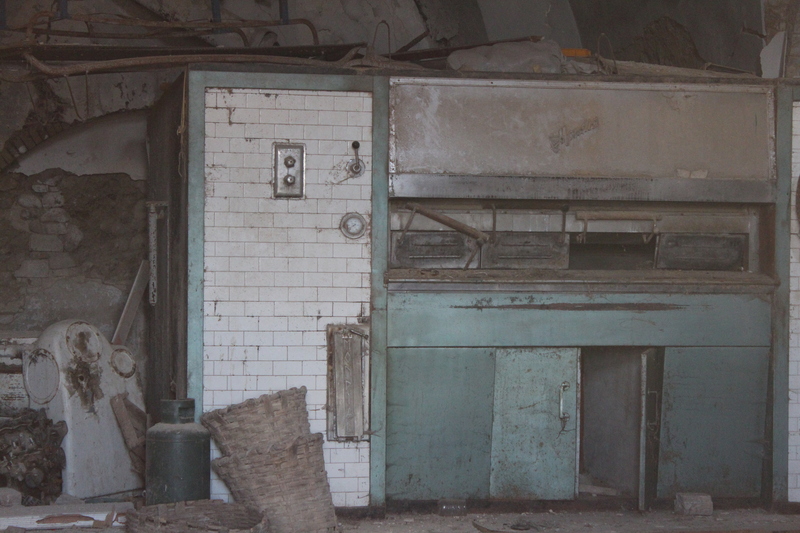 You get to see empty buildings that used to have purpose such as bakeries which now sit empty but for the large ovens which stopped serving up delicious loaves a long time ago. You learn about the demise of the town, how people fled with the promise of a better life, how traditions fled with the residents, how the lifeline to this town declined and about the hopes of those that still claim ownership to the properties. 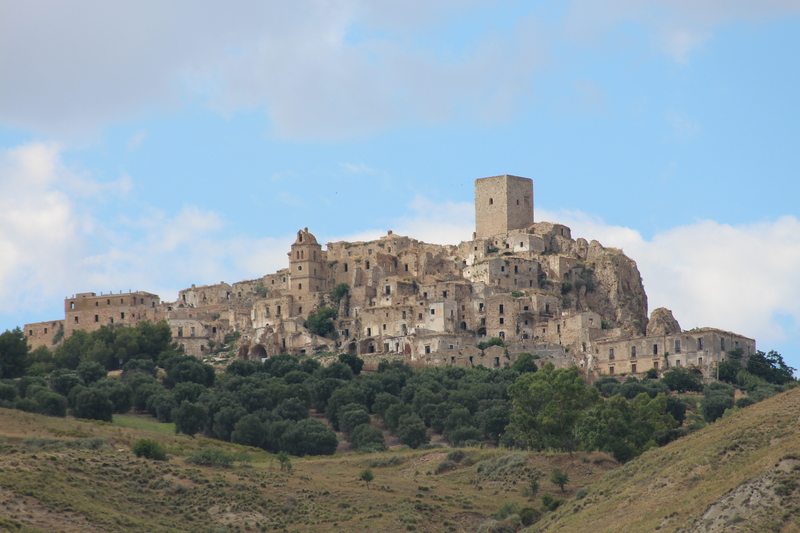 It is quite sad to visit the palace which sits at the top Craco. Paintings are still visible, beautiful tiled floors still partially there (and partially removed by thieves) and the views from this incredible building are breathtaking. 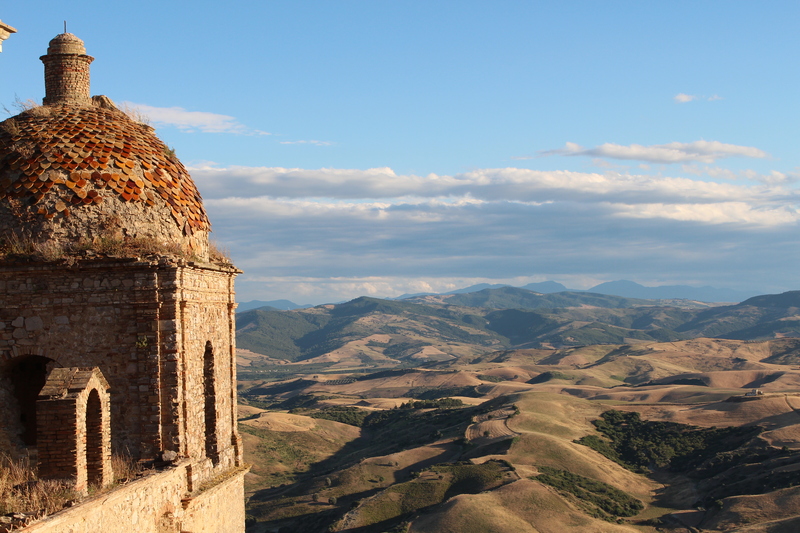 It’s not a surprise that many advertisers and film makers chose Craco or nearby to shoot their work. It’s peaceful, extensive and brimming with character. It’s also known as the ghost town and there are rumours that it is haunted. Stop in your tracks for a second and you will hear doors/shutters moving, crows crowing and underneath that, an eerie silence of a town still clinging on. William, a former priest, is fascinating, knowledgeable and was very generous with his time. We made the last visit of the day as the sun was starting to fade, the perfect time to take some fabulous photos. If you like history this is for you. 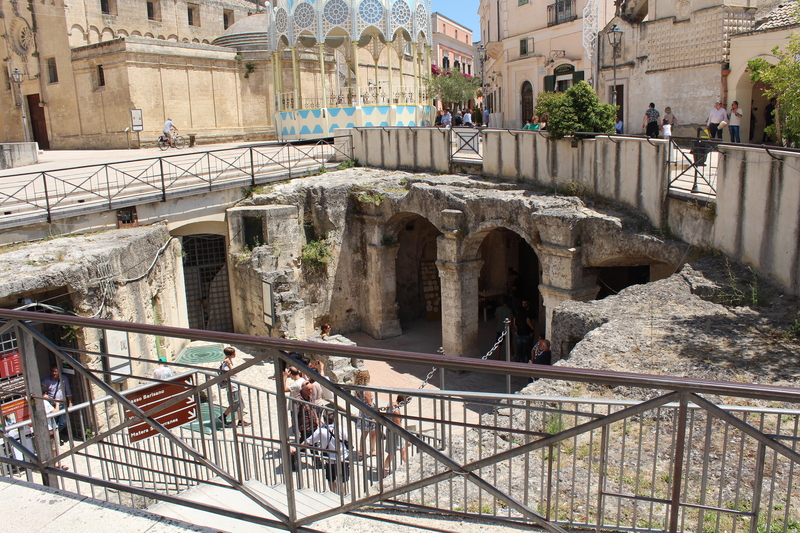 This attraction is split into three parts: 2 sites of ruins and 1 museum. 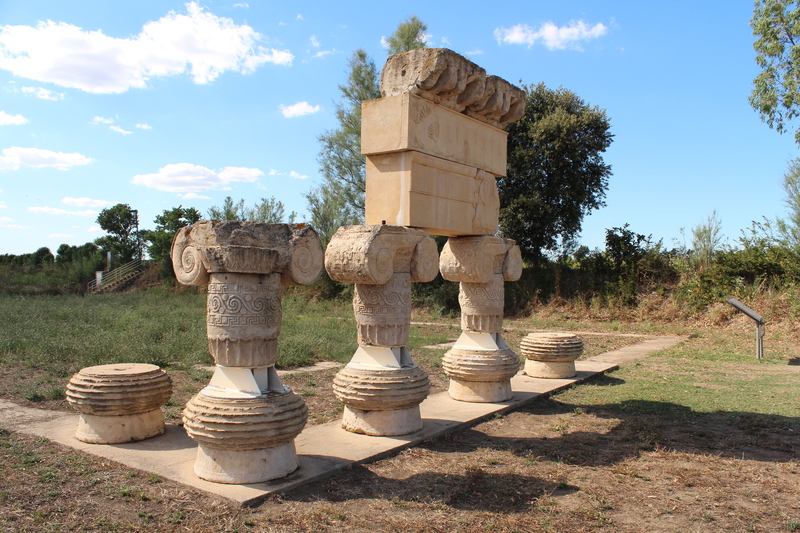 The first site we came across was a set of Greek columns which once formed part of a temple dating back to the 6th Century (Tavole Palatine). 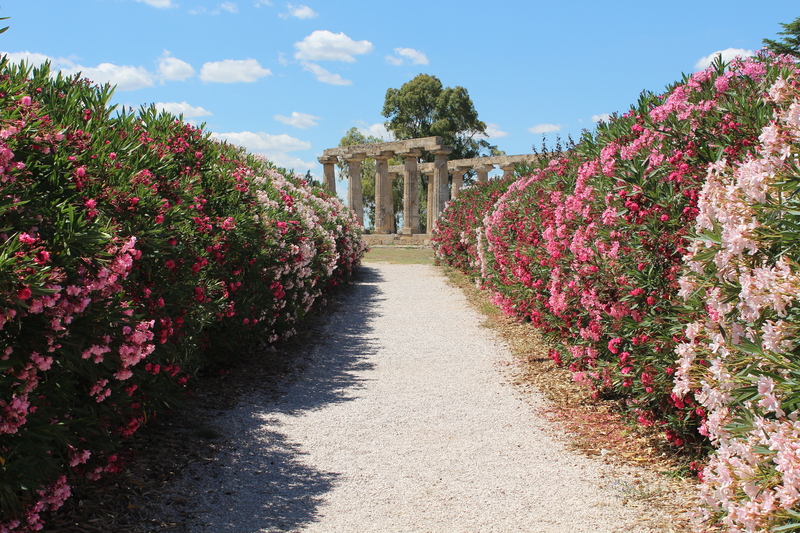 It is located just off the motorway in Metaponto and does not take long to stop off and view. With its picnic benches set behind the bougainvillea lined path which leads to the columns, it’s also a perfect place for lunch stop. We then headed to the museum to understand more about the sites and it was also a useful place to then discover the exact location of the second site which spans a much larger area and is home to the ruins of several temples, a tomb, agora and a partially reconstructed amphitheatre. Wear good shoes as this area is beautifully wild and full of grasshoppers, a few bees and lizards rather than set in a manicured landscape. This is about 5 minutes away from the museum and first site. It was very quiet when we visited and it was only towards the end when a small coach party arrived we realised just how peaceful this place was! Allow about 1.5 hours to visit all 3 attractions plus travelling time and the only entry fee payable is for the museum. This is a perfect stopping point on the way to Maratea. Take a chance (!) on this pretty place on the way back to Bari airport for your flight home. Walk past the locals making the most of every inch of its tiny beach, down the brightest white washed street I have seen, along the water side via a mini fortress and through to the harbour. 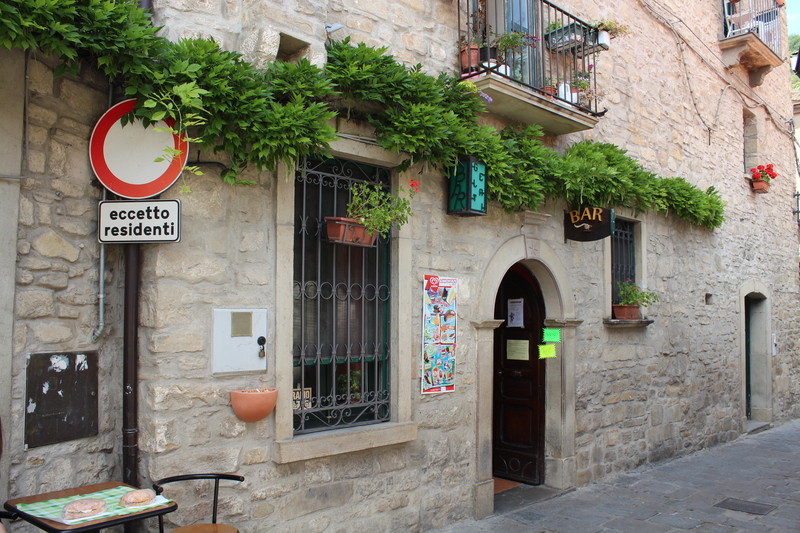 At the end you will find an archway which leads to a quaint piazza, the perfect place to have your last Italian supper. 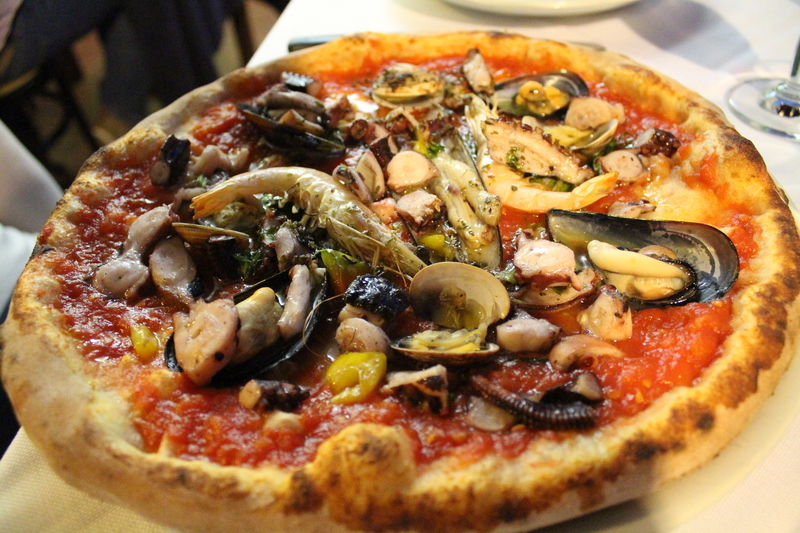 We chose a typically Italian restaurant and dined on seafood topped off with prosecco and found it was incredibly cheap. We enjoyed ice-cream here from the friendliest ice-cream man before wandering off to explore the surrounding streets. 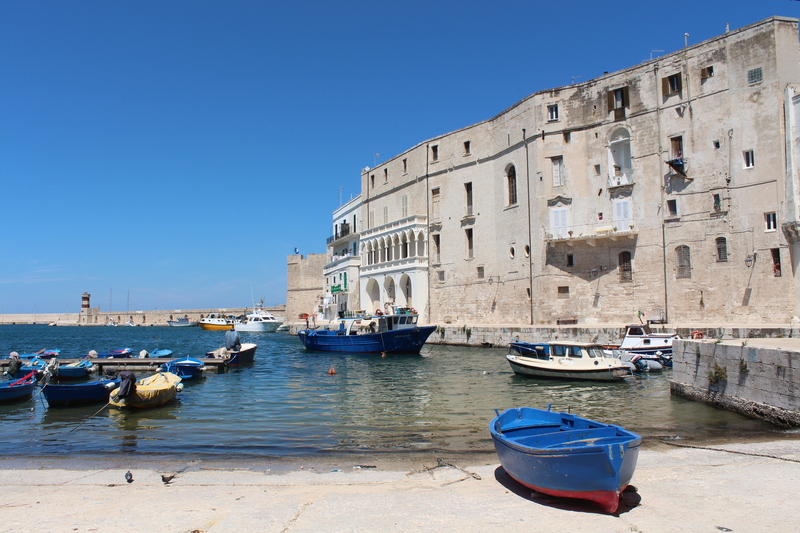 Monopoli was pretty, friendly and the prefect way to end our Italian road trip. 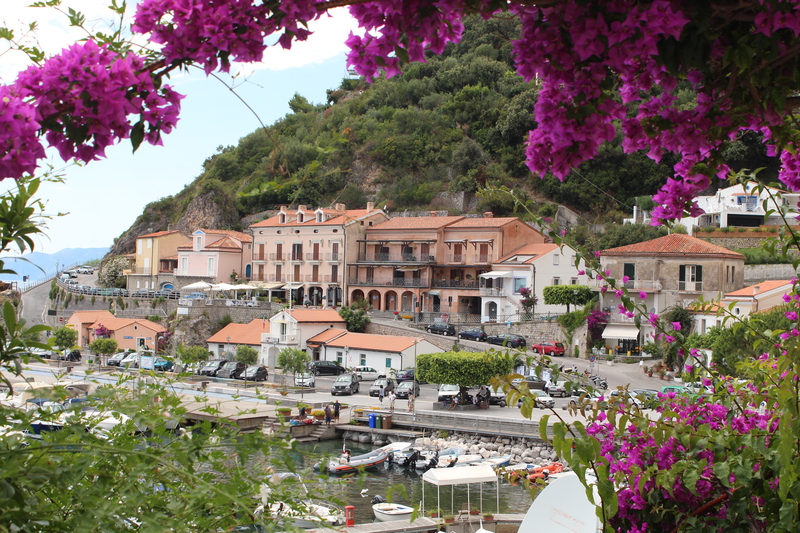 A hidden corner of Italy harbours a beautiful secret that is Maratea. I inadvertently stumbled across this treasure in a fictional novel; reading about the pomegranate tree, Christ the Redeemer Statue and the homely Villa Rosa. To discover just a few months later that this place existed meant there was only one thing for it…….I had to see it for myself! 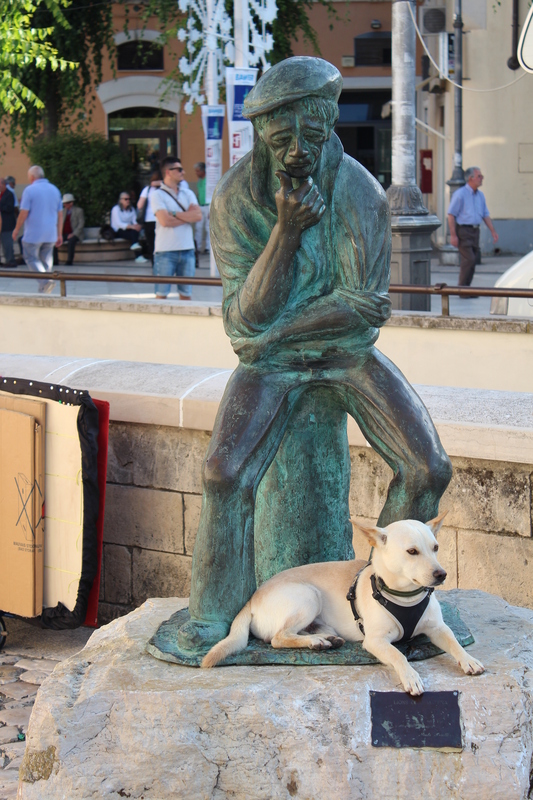 Maratea was the third stop on our road trip around Italy this summer. 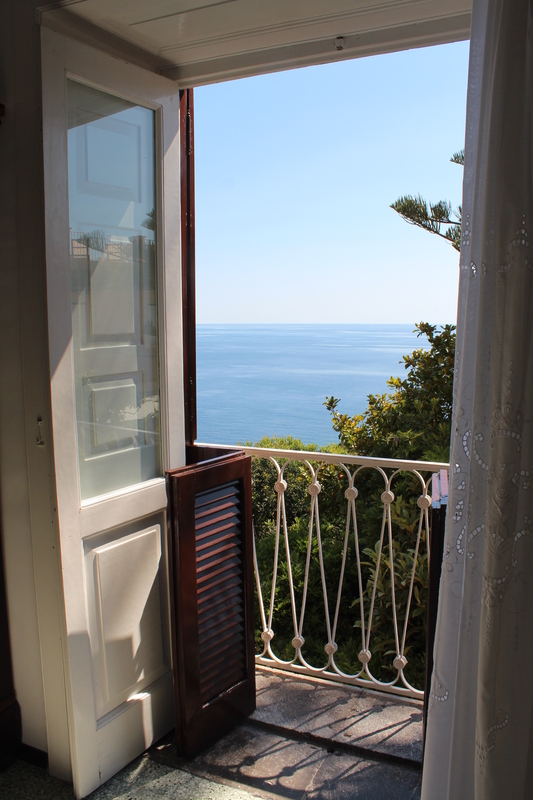 We chose to stay at Villa Cheta Elite nestled away in the hillside at Acquafredda just 10 minutes away from Maratea. 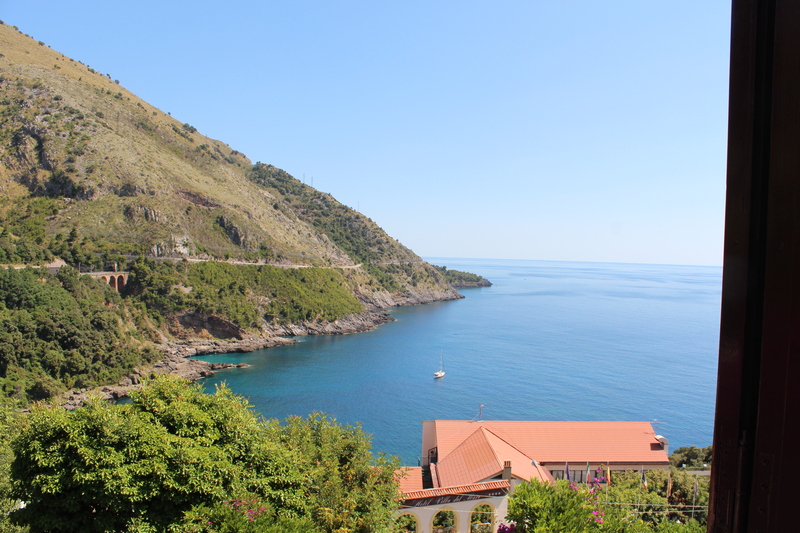 It’s located on a coastal road which winds around the cliffs with stunning views out to sea and so walking around this part of Italy is not really an option. 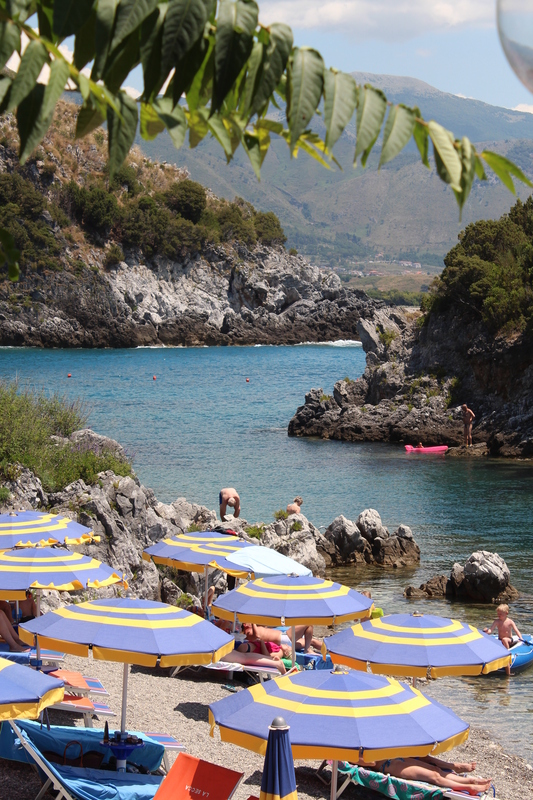 However, Maratea itself is completely walkable. Our hotel was a stunning Italian villa beautifully kept and oozing understated luxury. Our room had a dual aspect view of the turquoise waters below and we could see the outdoor restaurant between the pretty branches of bougainvillea. This for us was the prefect base for our next adventure. 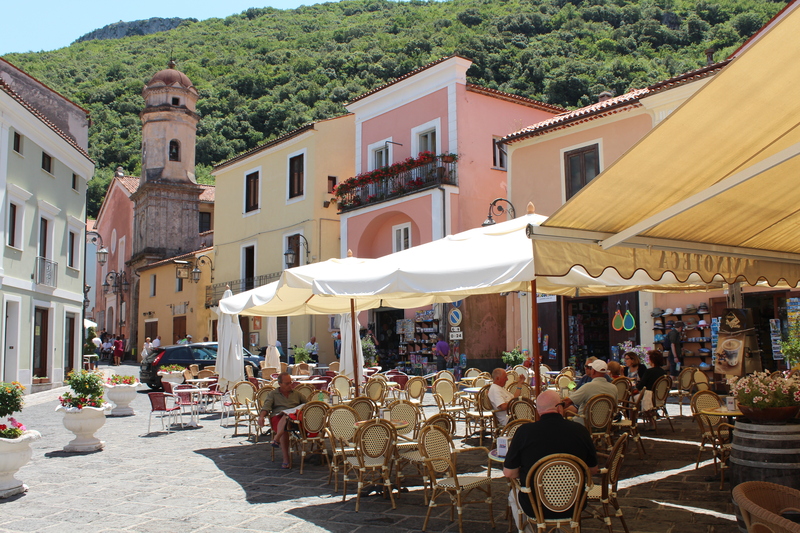 Maratea is a small hillside town with narrow cobble roads, a broad selection of cafés and even more churches. It’s a great way to spend a day taking in history, architecture and enjoying good Italian food. Stop for lunch at La Caffeteria in Piazza Buraglia which is a tiny piazza full of character. High above the town and a car ride taking in a few hair pin bends is the Christ the Redeemer statue with its back to the town below it. In the novel I read, its back was toward the sea as the fishermen had no interest in the statue and the funds it was consuming and therefore, it was decided the statue would not look down towards the fishermen. 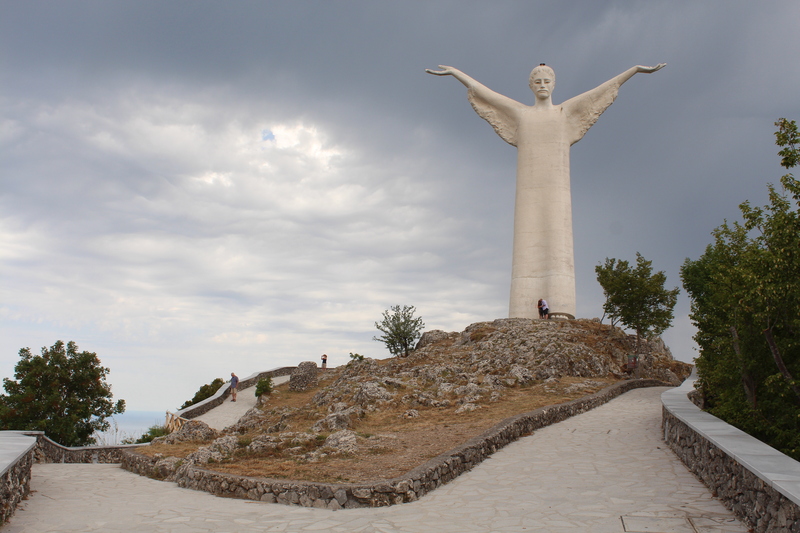 In reality, the statue stands atop this wonderful town offering a more protective arm and blessing this historically impoverished part of Italy. When we visited, the sky was grey with rain and created a moody atmosphere allowing for great photos. The harbour hosts several wonderful restaurants which enjoy fabulous views out to sea. 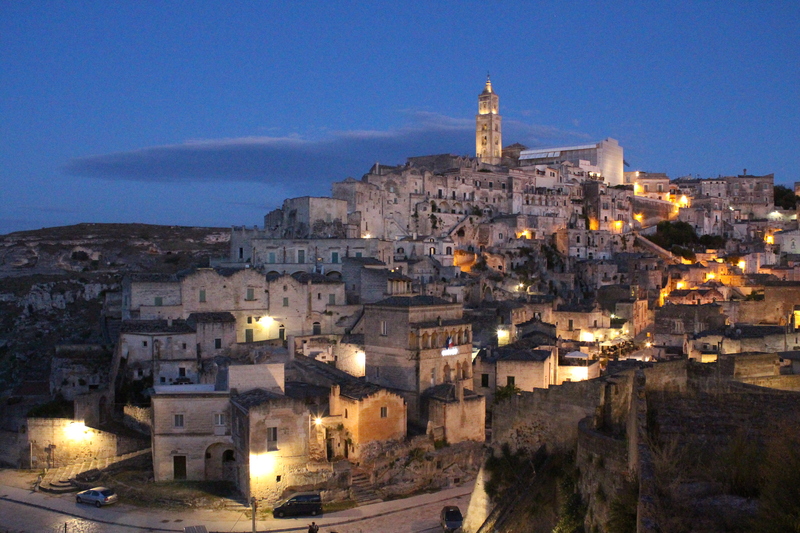 Enjoy the most delicious Italian food and great value wine as you watch the sun set. We visited Lanterna Rossa perched on the first floor with an almost concealed entrance which is up some steps and around to the left and certainly worth looking for! Beaches here are plentiful but don’t expect the sandy beach found in Castellaneta Marina. This area is home to more pebble beaches but don’t let this discourage you. We enjoyed La Secca beach for a day to recharge our batteries in advance of our remaining tour of Italy. You pay a fee to park and to hire a sun bed but it’s all reasonable and there’s a great value beach bar on site which serves up good lunches. This beach is located in a quiet cove and is family friendly. Take a dip in the clear calm waters or hire a pedalo to take you further out. We enjoyed a peaceful day here and would certainly return despite being lovers of sandy beaches. 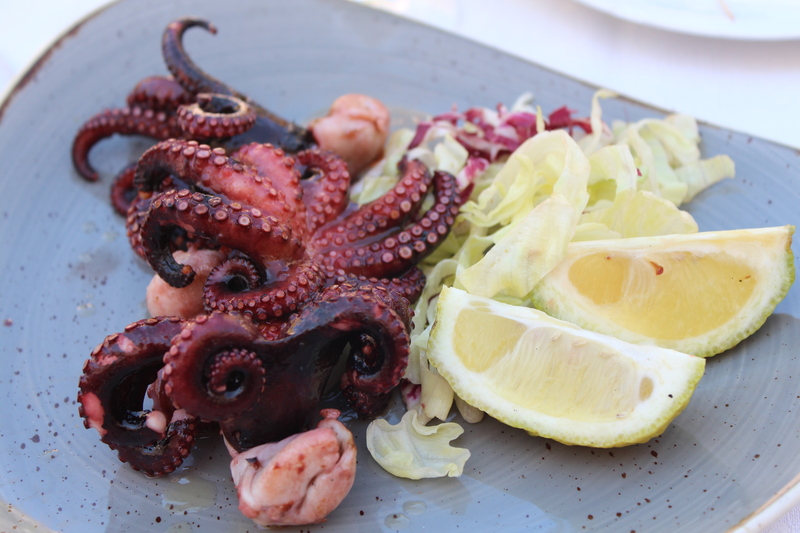 If you have time, don’t miss the White Horse restaurant which is very nearby La Secca. There is a warm welcome and great pizza awaiting you! 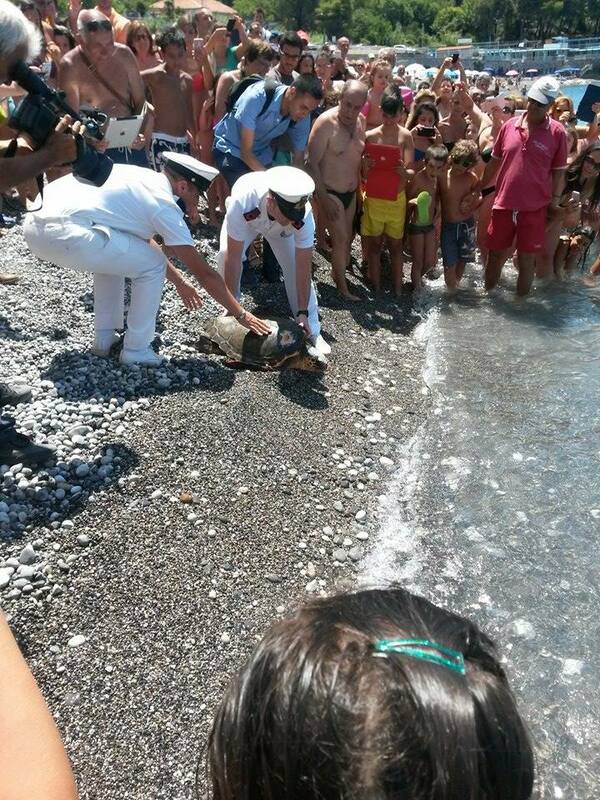 This is not something that is usual but we were lucky enough to watch the release of a turtle on the day we left Maratea. Before arriving in Maratea, we’d stopped off at the WWF centre in Policoro and had learned that the turtle would be released at midday on the day we were due to leave. We therefore headed to the beach and waited and waited until the moment finally came. We felt incredibly lucky to have captured this memory. We booked our flight on the internet in advance of our trip to Italy and opted to begin our journey in Castelmezzano, over to Pietrapertosa. We parked on the side of the road in Castelmezzano and walked to the tourist office to collect our tickets. It’s about a 10 minute quick walk through the town to get there and so leave some time. You then trace your steps back to the entrance to the town near to where you park your car to catch a minibus to the hill you need to climb to reach Volo Dell’’Angelo. At the top you are given your equipment, then get hooked up to the zipline and you’re away. 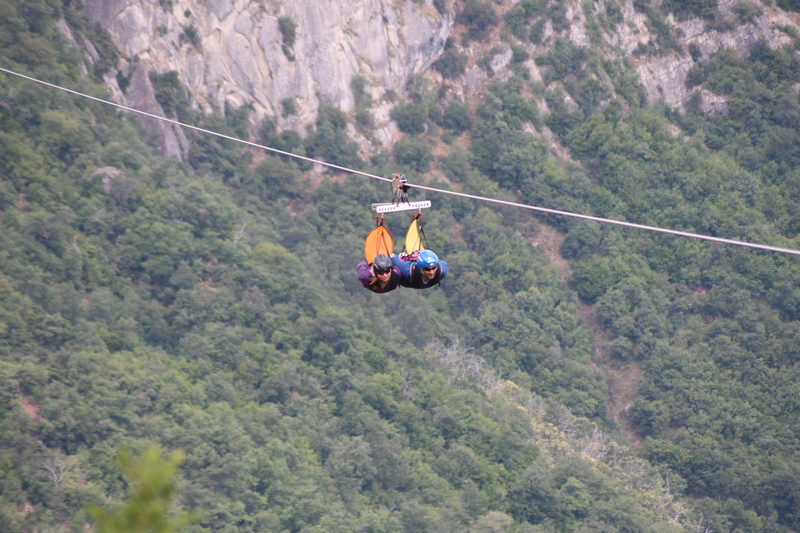 Soaring at over 120m above the towns of Castelmezzano and Pietrapertosa, the Volo Dell’Angelo reaches speeds of up to 120 km per hour. Imagine trekking up a winding steep hill and looking out over the valley beneath you in all its glory, knowing you will be flying above it very soon. Strap yourself into a body sling and stand beside your partner as you line up horizontally with the waiting platform. You will hear the words ‘have a nice flight’ before you are launched off the platform and out into the open. You will hear and feel the rush of the wind, you will feel as though there is little to keep you suspended there above the caverns below and yet the fear leaves your mind as you are blown away by the thrill and peace the flight of the angel delivers. Time races by just as quickly as you feel your body is gliding through the air and it is brilliant fun. At the end you can snap up souvenir pictures for 8 Euros capturing that adrenaline rush. A minibus then takes you to the town. Take a walk past the homes, shops and venture down to see the church as the bottom of the hill and at the end, you will climb about 100 steps to the return flight. We went further and passed the return flight centre to see the fort on the hill before returning which has terrific views. 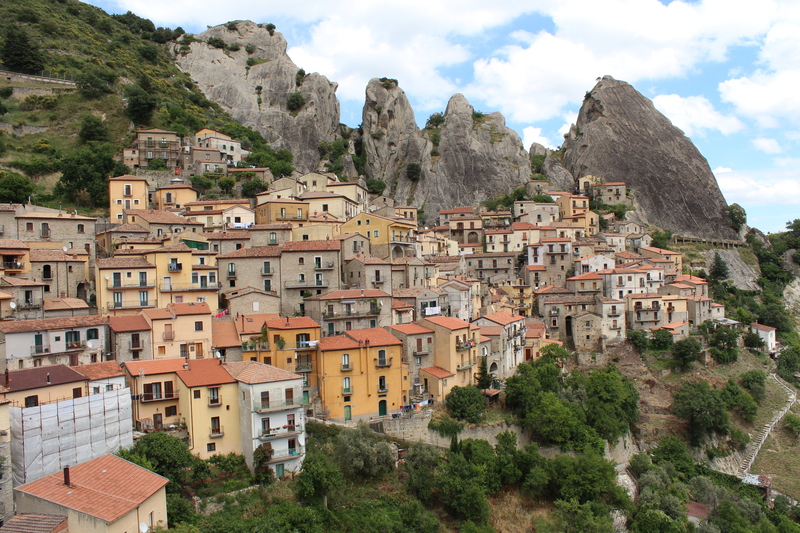 Castelmezzano is probably one of the most stunning towns that we had the pleasure of visiting in Italy. Its yellow and terracotta homes glow in the sun and on the return flight, generated a real wow moment, a memory imprinted for good. It’s a fun place to explore and provides a perfect lunch stop (just around the corner from the church square on the left hand side there’s a café with the nicest Italian owner serving great paninis!). A trip to this region is incomplete if you have not set eyes on Castelmezzano. The best view is flying towards it; an angelic flight that is! 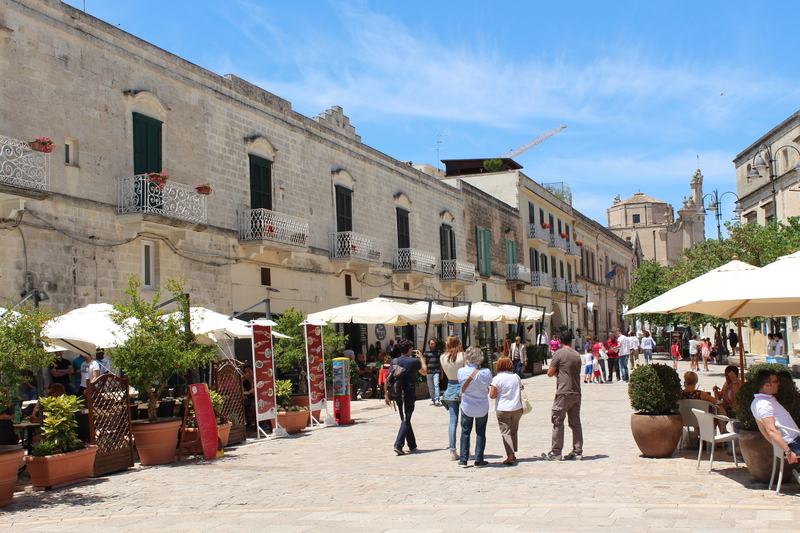 About an hour south of Bari airport you will find this gem of a town, partially sleepy and partially buzzing with tourists. 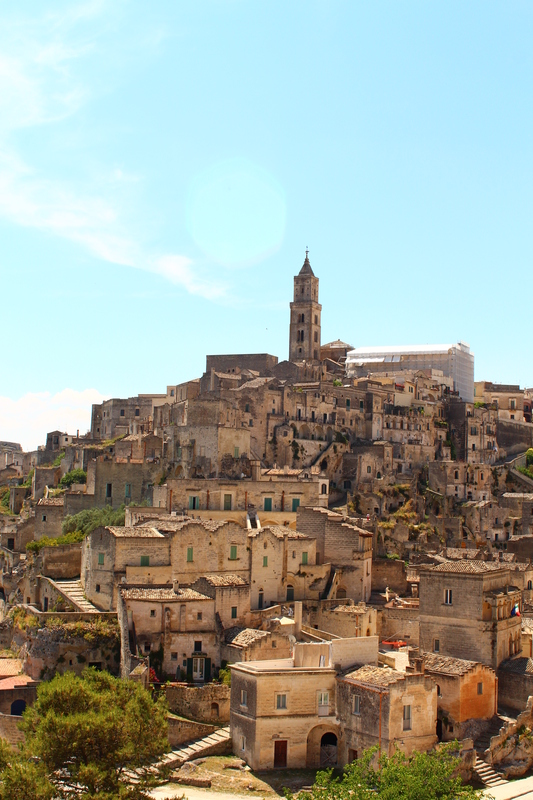 The old whitewashed funnel-topped trulli houses sit nestled in the hillside basking in the Italian sunshine and are symbolic of this region’s past. Previously built to be easily dismantled, these now sturdy buildings are cute homes and hotel rooms. We made Alberobello our first stop on our tour of Puglia and Basilicata this summer. 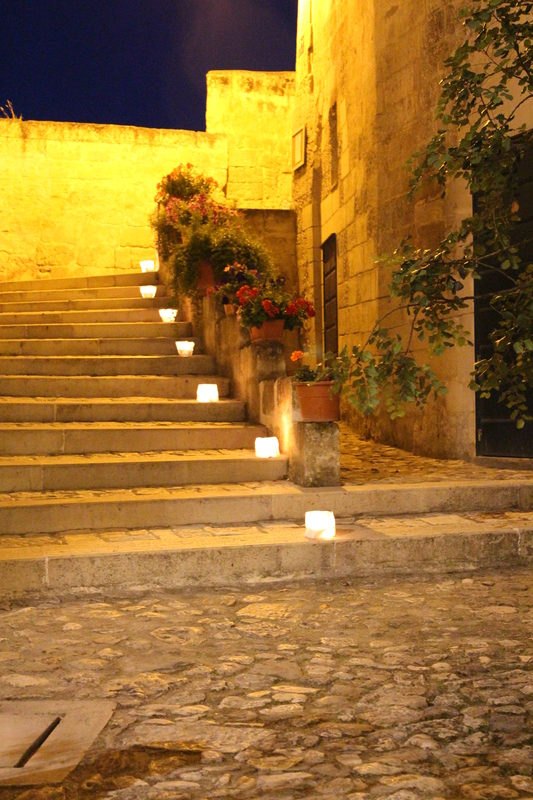 It was easy to reach late evening and we were warmly greeted by Francesco from Trulli Holiday Resort. 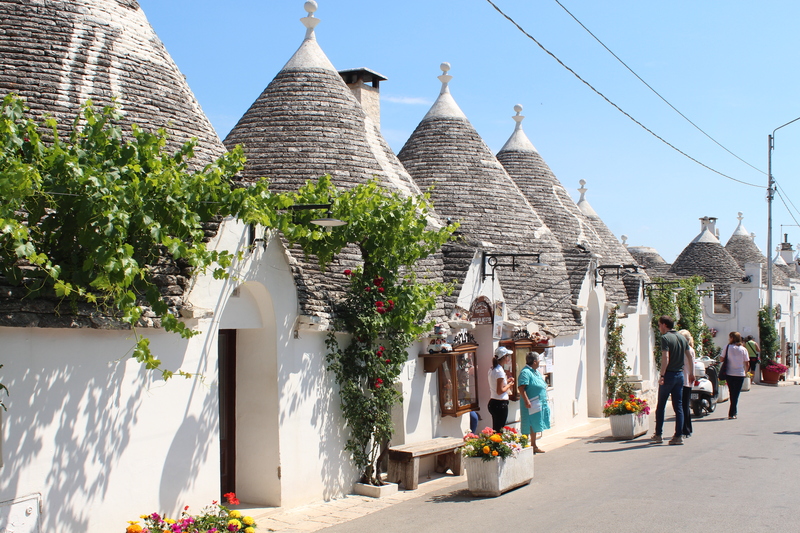 The trulli are spread out across the town and are mainly in two parts – the Rione Monti and Aia Piccola. The latter is where we stayed and was far quieter than the tourist honey pot! 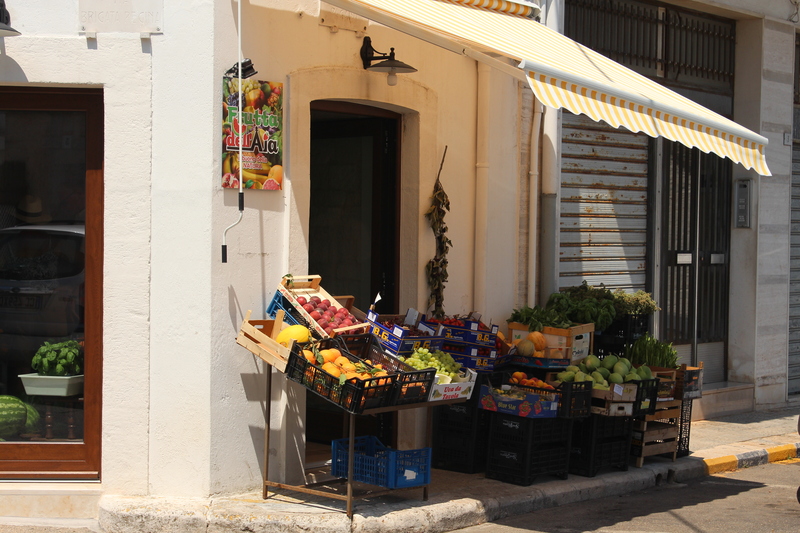 Spend your day wandering the streets of Alberobello, collect a bag of cherries from the discreet shop on the corner of Piazza Mario Pagano or an ice cream from one of the many vendors along route (they will all taste heavenly!). 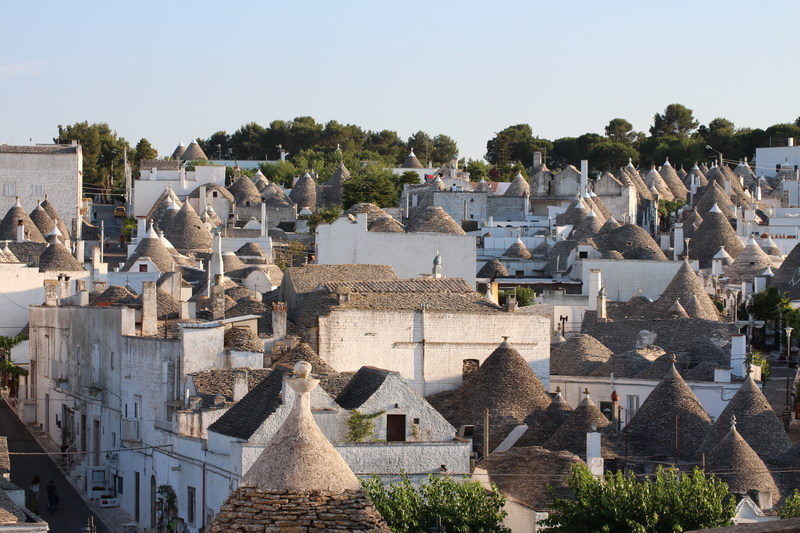 Don’t miss Alberobello Cathedral, the trulli church in Rione Monti, take a peek inside a real trulli dwelling, spot the symbols on the trulli rooftops, learn about the region’s history and see a masterpiece of workmanship at Museo del Territorio. 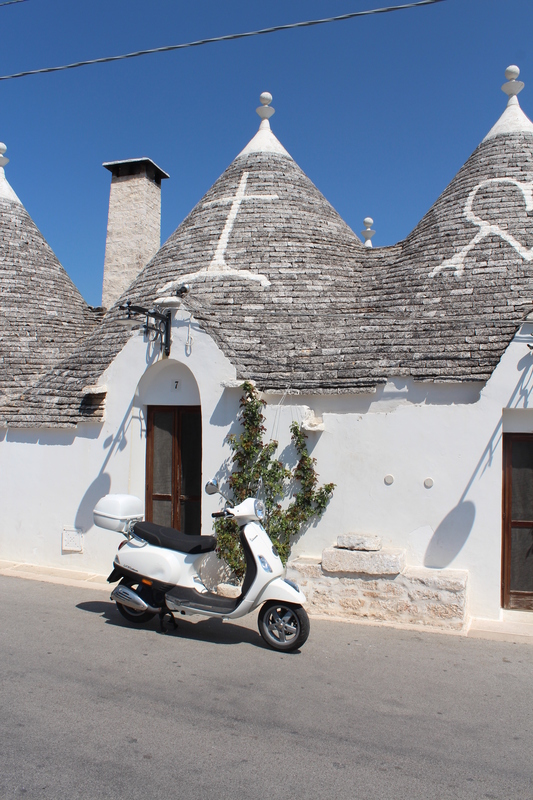 When you have walked your socks off, head back to your trulli to get ready for dinner. The Italians do not eat until 8pm at the earliest and so there’s plenty of time for a drink before dinner. Head to Paco wines and take in the scenes around you on the way. 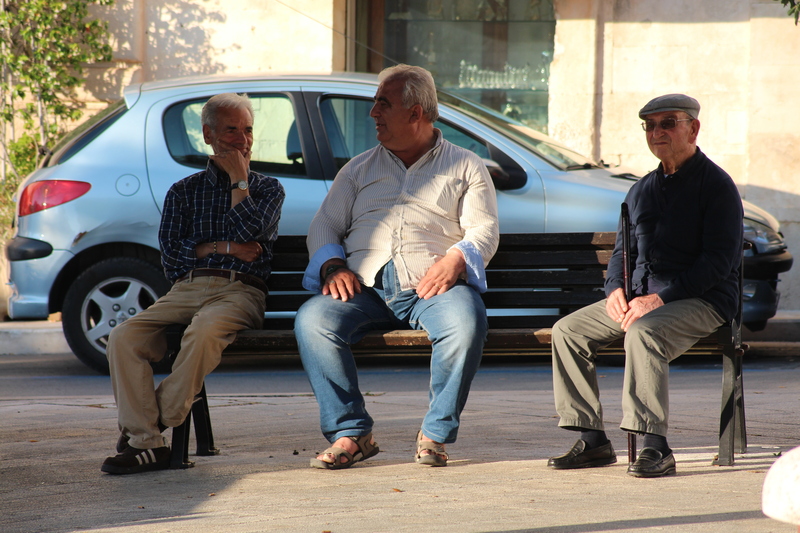 Old men sitting on a bench catching up on the events of the day, women gathered together watching over grandchildren playing in the Piazza……typically Italian and wonderful to see. 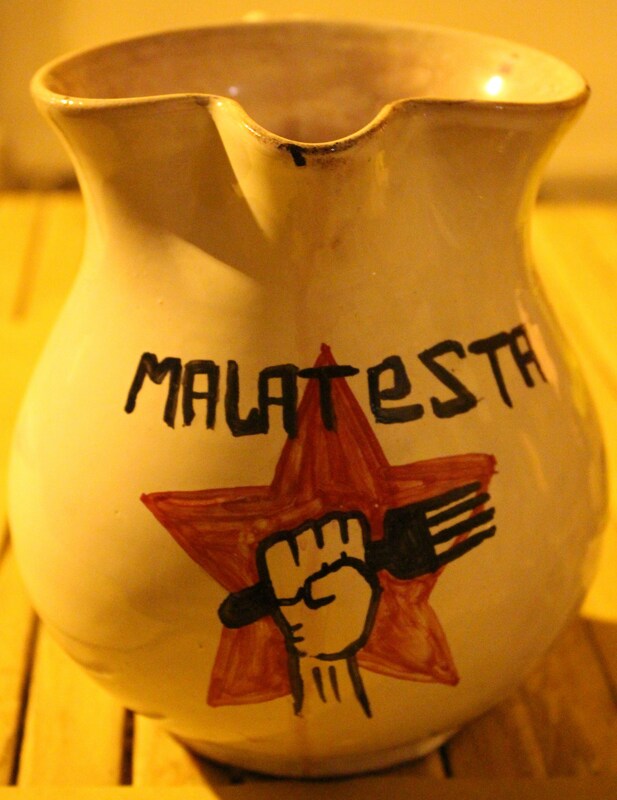 Have dinner at Trattoria Amatulli where you will be hosted by a friendly and proud owner who will serve you delicious home cooked food for half the price of an ‘Italian’ meal back home. We spent 2 nights here as there is plenty to do around and about too. 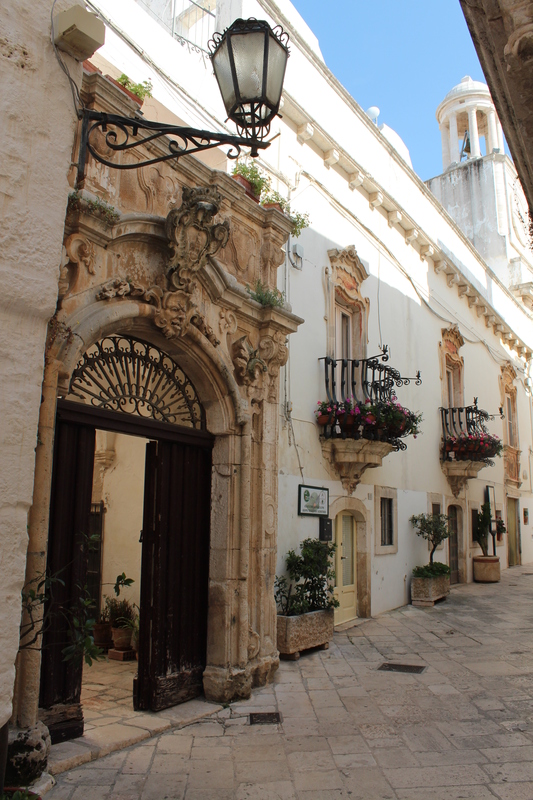 We visited Ostuni (the place to pick up your olive oil), Cisternino (a great lunch stop – you must try the bombette and egg and cheese balls slightly fried at Le Chicche di Zia Rosa), Locorotondo (the best ice cream on our travels can be found at Café Dolce Passione by tourist information – take it to the park just across the street to enjoy in peace) and Martina Franca (one of the pearls of Puglia – you can get seriously lost here if your wander the maze of streets and so take some water with you and head to one of the Piazzas for lunch). Do be mindful that the Italians do observe the afternoon closure and so it’s a great time to head for a lunch stop or a wander. Read Parts I and II. 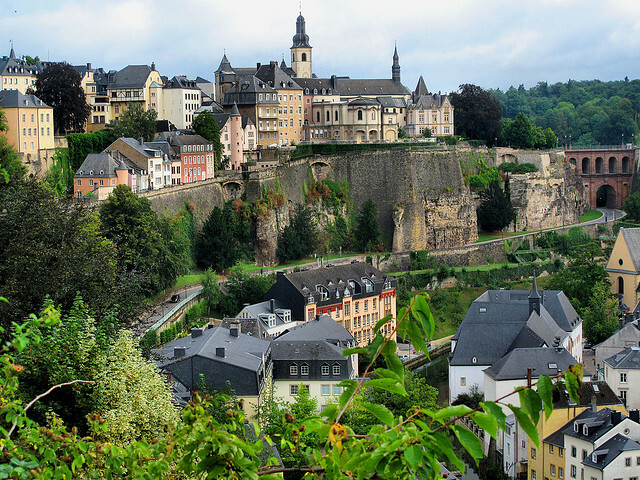 It’s a 3 hour drive to Luxembourg City today but this will be rewarded with stunning views of the old town and fortifications which is a UNESCO World Heritage Site. Board the fun Petrusse Express which will take you on an hour long audio guided tour of the city. It will give you a good overview of the city’s past, a few ideas of what to explore during your visit and the best part is that it’s suitable for all age groups. 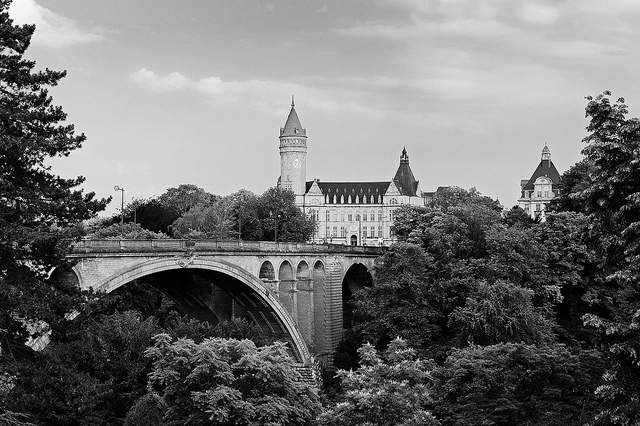 Luxembourg City. Photo by 55Laney69. Stop for an ice-cream at arguably the best ice-cream shop in Luxembourg, Bonomeria, before heading to Luxembourg City History Museum to learn more about the city. It is open from 10am until 6 pm and costs €5 pp to enter (free for under 21s) but it extends its opening hours on Thursday evenings from 6-8pm and it’s also free to get in at that time. Stay at the Melia Luxembourg which offers modern accommodation with great views and is in easy walking distance to the main sites; it’s also budget friendly. If you don’t mind spending just a little more, Le Place d’Armes Hotel is well worth it. It is set in the beautiful historic square and minutes from the Palace of the Grand Dukes, ideal for exploring the city and experiencing a touch of luxury. Start your day off with a walk along Chemin de la Corniche, a beutifully scenic promenade; this is the place to take your holiday photos. Take in the Palace of the Grand Dukes (if you wish to visit, check beforehand that it will be open), the Barrio Grund and then finally, the Cathedrale Notre Dame. Stop for lunch at AM14 nearby and enjoy the views once more. Chemin de la Corniche. Photo by Francisco Anzola. If you want to relax this afternoon, try Les Thermes located slightly out of the city. There is a pool, wave pool and water slides for those young at heart and if you want to build a bit of relaxation time into your break, there is also a spa. There are a number of different steam rooms, our favourite is the Blummen which envelops you with the scent of herbs or fruits. You can also enjoy the whirlpool, outdoor pool and ice fountain in addition to the usual treatments you can expect from a spa. 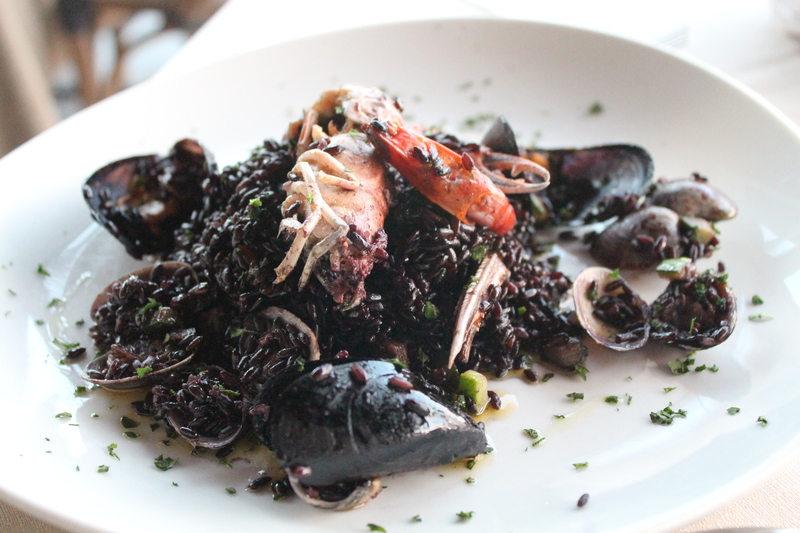 Treat yourself to dinner at Clairefontaine and your eyes and tastebuds will be rewarded in equal proportion. An experienced and loyal chef cooks up various tasty treats every week night from 7:15pm until 9:30pm and so be sure to reserve a table if you intend on dining here. Set off in good time for your 4 and a half hour drive to Amsterdam. Arrive mid afternoon and if you can, take a canal trip (€13 for just over an hour) or rent a bike and spend the afternoon exploring Amsterdam’s Canal Ring. Enjoy a well earned coffee break at Espressofabriek, a place that all coffee lovers will appreciate with its home roasted coffee beans. If you’re more into cake than coffee, you won’t be disappointed with its homemade treats; our favourite is the apple cake, served warm! Amsterdam. Photo by Sonny Abesamis. 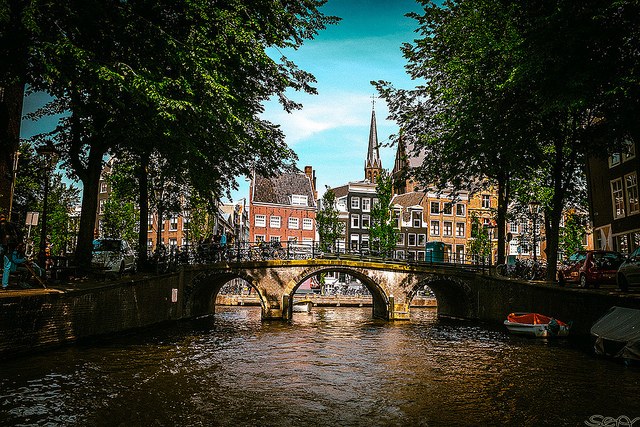 For a family holiday, Conscious Hotel Museum Square may be the ideal spot as it’s tucked away from the expected nightlife of Amsterdam and close to the museums. 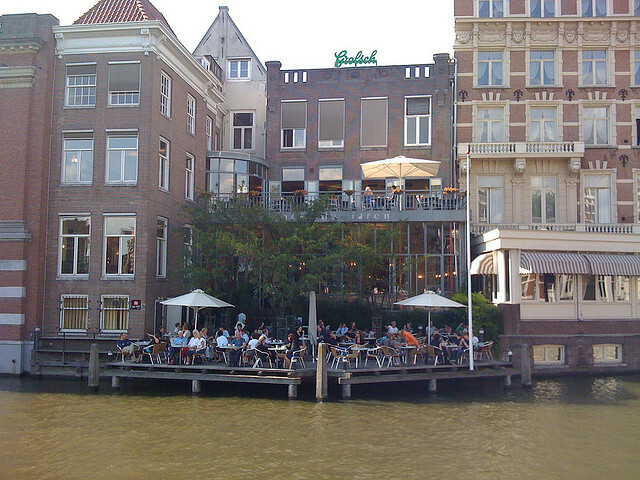 For a more centrally located hotel, try Hotel V Nesplein, surrounded by the canals and aesthetically pleasing. If you enjoy a modern dining experience Café de Jaren is well suited; sit out on the terrace taking in the view of the Amstel whilst dining on pan-fried wolffish or the De Jaren’s hamburger. If you’re not a fan of modern and prefer a more unique experience, try D’Vijff Vlieghen where you can enjoy Dutch dishes whilst sitting under four original Rembrandt etchings. The options for evening entertainment in Amsterdam are vast. There are wine bars, cocktail bars, bars, pubs, clubs, comedy and live music venues to name just some of the options. We love the Alto Jazz Café, a dimly lit cosy venue with live music every night from 9pm. Be warned, once you’re in you may well find it difficult to leave! Café de Jaren. Photo by dutchgrub. A visit to the Ann Frank Museum is a must if you have not done this before. The house opens at 9am each day and costs €9 per adult. The visit will stir a mix of emotions from admiration to sadness and will leave you with a life lasting memory. If you are a fan of post-impressionist art, the Van Gogh Museum is an obvious choice for a visit. You can admire the world’s largest collection of his works from his famous Sunflowers to our favourite and lesser known rural themed paintings. If you are travelling with children who may not fancy too many museums, there are other fun activities to try including visiting one of the many petting zoos or Amstel Park. 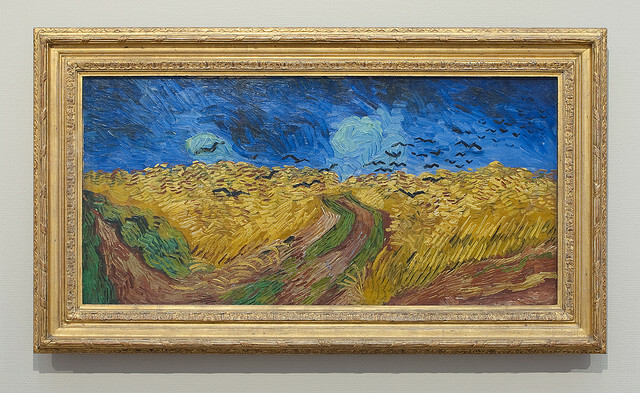 Wheatfield with Crows, Vincent van Gogh (1890). Photo by Niels. After a busy day of sightseeing, take the overnight ferry back from Rotterdam to Hull. As one adventure ends, the next is not far behind!